ROAD TOWN, Tortola, VI- According to reports in the Guyana media, Guyanese, whose homes and livelihoods were destroyed when hurricanes slammed into several Caribbean islands recently, will be brought home before the end of the week. According to the Guyana Chronicle on October 5, 2017, while the majority of the Guyanese residing in the hurricane-ravaged countries have opted to remain and assist in the reconstruction of those islands, others have signaled their willingness to return. At State House in Guyana on Wednesday, October 4, 2017 Guyana Foreign Affairs Minister Greenidge told reporters that Cabinet was given the assurance on Tuesday that Guyanese, particularly those in the [British] Virgin Islands (VI), who are desirous of being evacuated, would be moved by the end of the week. However, he noted that the number of persons has not been finalised because the figure continues to vary. “I think when the Foreign Affairs (Ministry) first received information from those who are affected it was essentially from the British Virgin Islands, and at that stage, the numbers were somewhere in excess of 50 and less than 100. More recently, after the visit by Minister Winston Felix, he has indicated to us that the numbers are far less,” Minister Greenidge was quoted as saying. Many expatriates who had initially requested the governments of their respective countries to assist in their evacuation have since made their way off island since commercial flights resumed in the VI on Monday October 2, 2017 and even before since LIAT was always honouring tickets for those who had booked flights long in advance. But, acording to Greenidge, given the urgency of the matter, the evacuation of persons can no longer be delayed. Government representatives, he posited, are currently in conversation with a number of airlines to facilitate the relief efforts. “I believe that Foreign Affairs had actually spoken to Caribbean Airlines and as far as I am aware, for example, the Trinidad nationals who were moved somewhere in the region of over 300, were moved with assistance from Caribbean Airlines for example. So these are the avenues that we have to pursue,” he explained. Asked whether systems have been put in place for the Guyanese returning in the event that they do not have accommodation or funds to keep themselves afloat, Minister Greenidge said the team is “well organised,” and has placed tremendous attention to that matter. That aside, six containers with $20M worth of food and other much-needed supplies are being shipped to Antigua to be proportionately distributed among the residents of the islands hardest hit by the storms. The vessel with the containers left on Tuesday afternoon and will take 10 to 12 days before arriving at its destination. 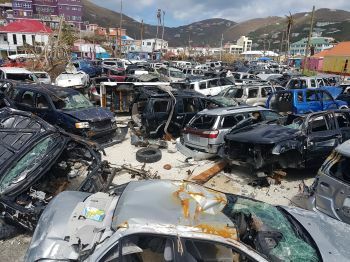 According to Minister of State, Joseph Harmon the goods will be sent to Antigua and Dominica, which countries will be used as the central distribution points for the supplies. The containers, according to the minister, are being shipped free of cost by local freighters, Tropical Shipping. Most of the close to 80 tons of foodstuff, he said, was donated by members of the private sector and members of the public. Along with the government’s US$100,000 donation, members of the public have also been making financial contributions. Guyana has also reportedly been assisting hurricane hit countries with utility posts. They will not leave. Why go back to Guyana. To do what? Inspite of- its better here. Hope they now learn to behave and stop been so bad minded and selfish and cease this know it all attutude and stop carrying news on everybody they work with and learn to live and work in peace with BVIlanders.. Not just BVI-Landers but all people!. I like people from Guyana. Pleasehave mercy on the BVI and go home. 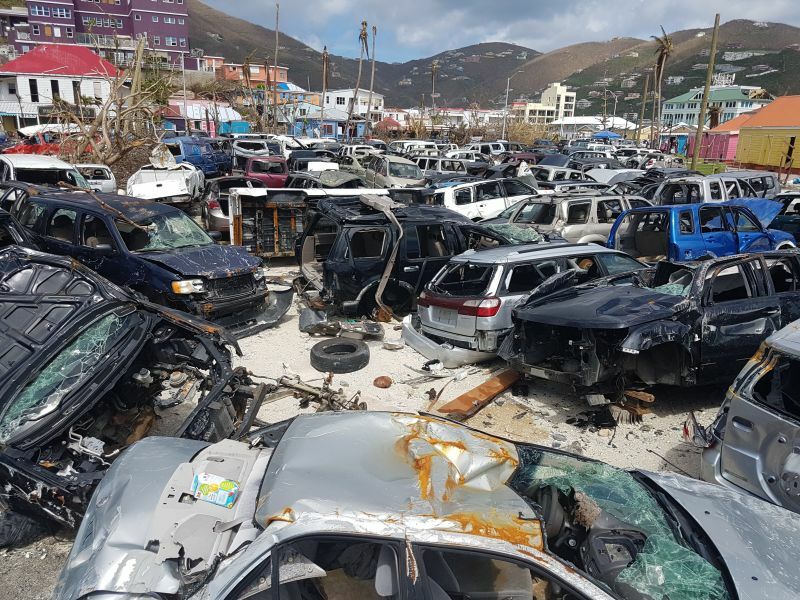 Our resources are meagreally and your country has plenty, Besides BVI wants to rebuild with quality people. and who will pay your quality house rent you sound so silly as bvi people we need to do better.